It is a great honor to recognize Connie Lieber’s leadership in the area of mental health research, her prescient insights about the central role of brain development, and to inspire the next generation of scientists in the developmental neurosciences with this prize in her name. The historic award was presented to Dr. Joseph G. Gleeson at a Developmental Neuroscience Symposium on June 13, 2017, at the Johns Hopkins School of Medicine. In addition to recognizing the first recipient of this prize, several keynote speakers from the Prize Committee were in attendance to honor Constance Lieber’s legacy. Watch the video below for a recap of the inaugural event! 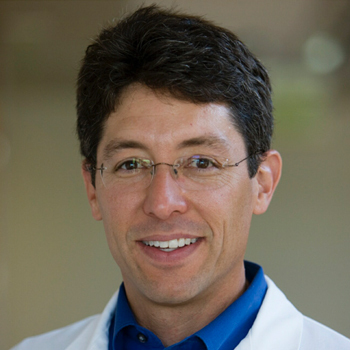 Director of Neurodevelopmental Genetics and Endowed Chair at Rady Children’s Institute for Genomic Medicine; Professor of Neuroscience, University of California San Diego; Adjunct Professor, The Rockefeller University and Investigator at the Howard Hughes Medical Institution. The Constance Lieber Prize for Innovation in Developmental Neuroscience will be awarded to an investigator under 55 years of age who has made a transformative contribution in developmental neuroscience with clinical implications. The award will be recognized every two years, consisting of a $100,000 cash prize. Connie Lieber was an extraordinary person. Her role in establishing and supporting research about developmental behavioral disorders is legendary as was her deep personal investment in the careers of young scientists. She intuitively believed in the developmental origins of psychiatric illnesses and worked tirelessly for over 40 years to fund research, raise awareness of mental disorders, and reduce the stigma often felt by those suffering and their families. For over twenty-five years, she was the inspirational leader of the Brain and Behavior Research Foundation (formerly NARSAD). It was this dedication to research and the search for cures for mental disorders that ultimately led Connie and her husband Steve Lieber to found the Lieber Institute for Brain Development along with Milton and Tamar Maltz.